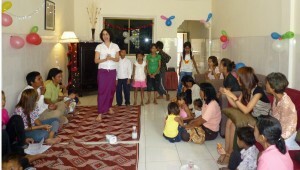 Home » Church Planting » Christmas in July?? 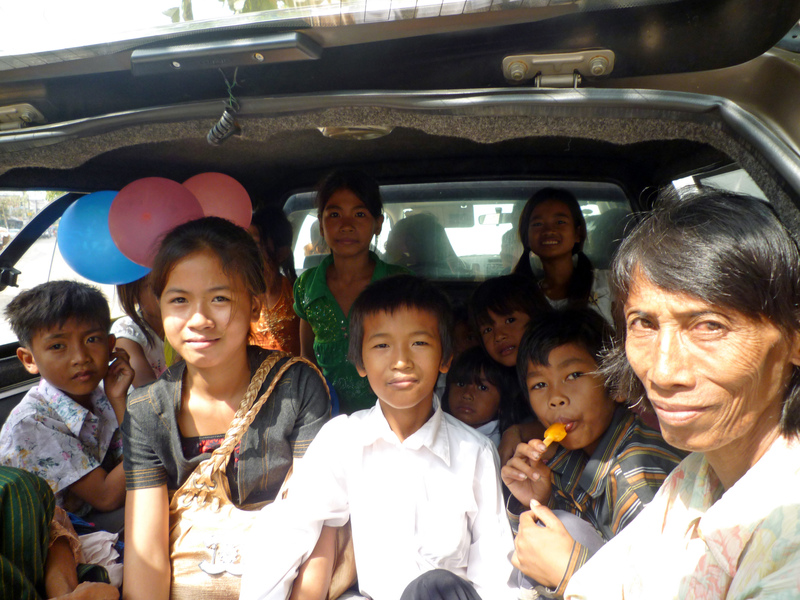 Christmas in Cambodia did not come late this year, only this news of our December, combined Christmas outreach with people from both Setabo and Baset. Setabo is about 45 min south of Phnom Penh and Baset is over 1 hour north of Phnom Penh, so we held the event at my house in Phnom Penh. The day began early as I picked up the Setabo people in my ute. We managed to pile 22 people into the car, if you include the 11 month old baby; a new record for my car. Games, video, a narrated and spontaneously acted Nativity play, Christmas songs, more games and lots of Cambodian curry made for a memorable day. It was the first time that any of the Setabo people had heard the story of Jesus’ birth and a first for a few of those from Baset too. Christmas is always a wonderful opportunity to share the great news of Jesus’ love and salvation. Most of those at the event who don’t yet know Jesus had already heard stories of Creation, the Fall and God’s plan to bring people back to himself, so they had some basis for understanding the significance of Jesus coming to earth. Please pray for the extended family in Setabo who are still on the journey of putting their faith in Jesus.